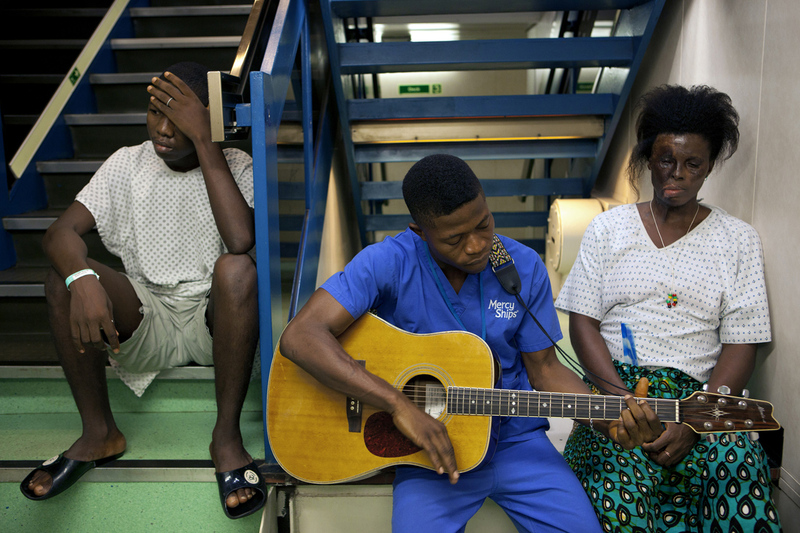 Sierra Leone, Freetown, October 2011.\n\nPaul Charles, one of the local onboard staff uses to entertain the patients. Asoumana Korpoi, 19, lost his left eye because of an accident in his village. The surgery he got in 2003 in a public hospital turned as in a infection. He now receives surgery to make it improve.\nMatta Moina had an epileptic fit and fell into the kitchen fire. Tht was the time of the civil war and she then received the first medical aid after days. She had plastic surgery on board.